Users generally use their browser's default start page, which shows thumbnails of most visited websites or Speed dial page in case of opera or any similiar add-on. Some others use Search engine such as Google or even blank page as Start page. Myfav.es is a fine looking start page that lists your most favourite websites links with big icons. Its free, customizable and elegant. Setup is also pretty easy. It's not necessary to create an account though it's recommended. Just log in, select your favourites sites from the list which covers most of the popular websites and just set it your homepage. Done! 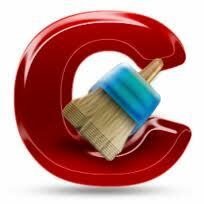 Piriform on Monday announced the release of CCleaner 3.17 with wildcard support for Cookie cleaning and improved cleaning support for Google Chrome beta versions. Several other improvements and minor bug fixes are also made in the new build. Those who are new to application, CCleaner is a freeware tool that helps you to protects your Privacy by cleaning all browsing history, removes junk files, cleans registry and thus by improves system performance.With CCleaner you can uninstall programs, clean temporary files and can fix broken shortcuts also. Users who have downloaded and installed Windows 8 CP must have noticed a small watermark in the bottom-right corner saying "Windows 8 Consumer Preview Evaluation Copy. Build 8250", though it doesn't take much space but some users might find it annoying. If you’re one of those users who find it annoying and would like to remove it, then here's how you can remove it. Changing DNS on your computer requires manual configuration. While it's not difficult for most people to change the DNS servers in the operating system, many users will not attempt these changes for fear of causing problems with their PC. DNS Jumper can help the users by providing a simple GUI for changing their DNS with just few clicks. Stardock's Start8 is a Start menu program for Windows 8, for all those users who were annoyed because of the removal of the Start Button from Windows 8. The Mini metro-style start menu is quite nice and feels native. You can get Star8 by visiting this page. 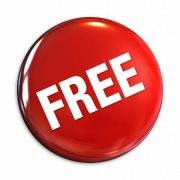 Provide your email and click Download. Or you can download it directly here. If you want to try Windows 8 out, but don't want to wipe your current OS or don’t want to multi-boot, then here is a way you can get feel and look of Windows 8 On Windows 7 system. 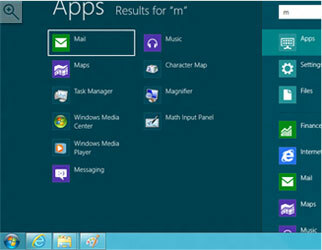 You can transform Windows 7 to Windows 8 Consumer Preview with the Skin Pack from developer Hamid. Skin Pack installs 9 visual style, Wallpapers, Aura, Newgen, BetterExplorer, Taskbarusertile and Bootscreen. It works perfectly and installation is pretty easy too. Its been two days since the release of Windows 8 Consumer preview, and if you look at the the Windows 8 reviews so far you will notice that initial reactions of consumers have not been so good for Microsoft. Start Menu is gone and many controls are moved to the new start screen. It might take users some time to get used to it, and doing basic tasks such as shutting down your pc has become a little confusing. While it was possible to disable Metro UI to only work on the desktop in Developer Preview, with recent changes, it is currently not possible. All the tools that worked in the Developer Preview are not working right now. So when others are still complaining about Metro, here are some How to's, Tips, and features of Windows 8 that you may not know about. Whats New On Tech. Powered by Blogger.